The End of Sisyphus is an evening-length ensemble work created for five performers: Natalie Border, Lyndi Coles, Brian Gerke, E’lise Jumes, and Tyler Orcutt. Serving as my M.F.A. thesis concert, the 45-minute performance premiered December 2018 in Salt Lake City, Utah. "Stranger Kin disregards the aesthetics of cis-genders in an exhaustive, visceral exploration, and irresistibly lays bare questions of human intimacy, relativity, and power." - ACDA Northwest Region Conference adjudicators, 2018. 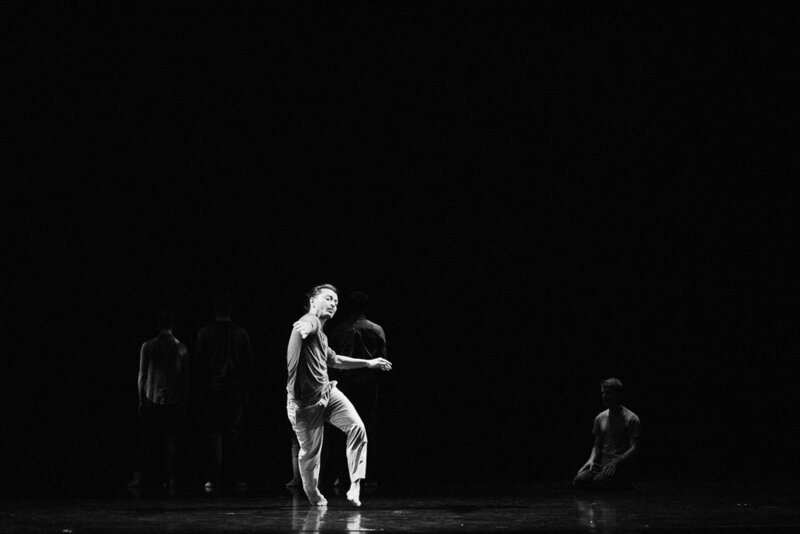 It was an exhilarating pleasure to create Flood for Repertory Dance Theatre's spring concert, CURRENT. Developed with seven artists of the company over the course of five days during the summer of 2017, the work finally made its way to the stage for its premiere April 12-14, 2018. 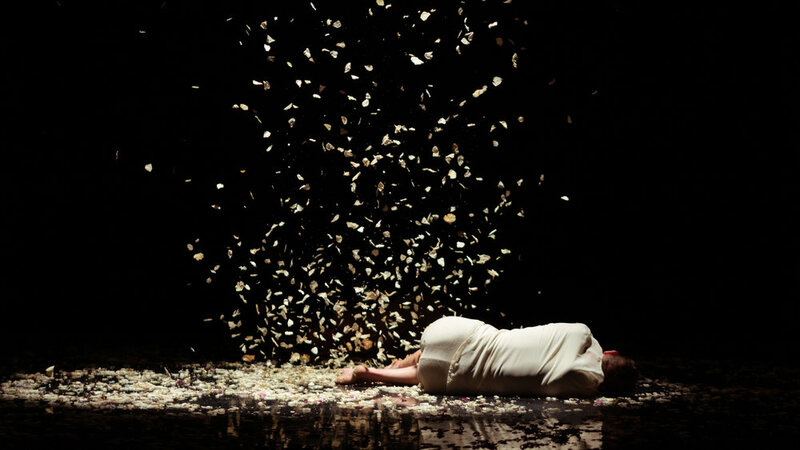 Set to a haunting score by Anna Þorvaldsdóttir, the work careened with physical tension.